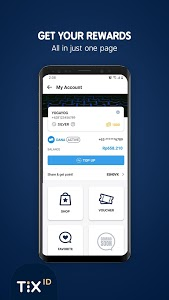 TIXid is the leading movie ticket buying application in Indonesia. 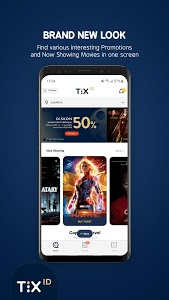 With TIXid, you can book movie tickets at your favorite Cinema 21 movie theaters at ease, quick and secure without any hassle. 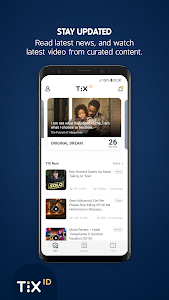 Why choose TIXid to buy tickets? 1. 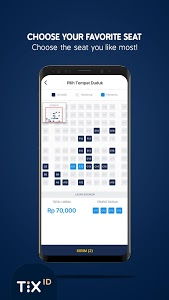 Get movie tickets from the leading cinema network in Indonesia, CINEMA 21 without queuing up. 2. 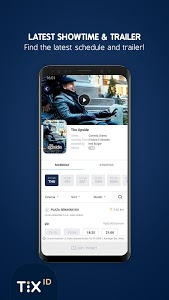 Check the latest movie showtimes, watch the latest movie trailers and instantly select your favorite best seat in real time. 3. 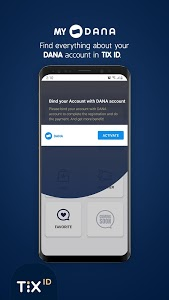 FAST and SAFE payments using your DANA balance. 4. Track your cinema ticket purchase history. 5. A variety of exciting promotions that are given exclusively for you. 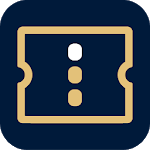 Hello TIX Hunters, for your convenience we have renewed our look with new account design, payment process page, & movie detail improvement to make sure you get more insights about the movie that you’re about to watch. 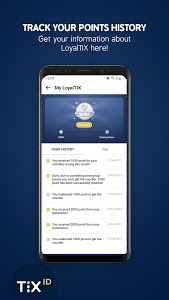 As our highlight, you are invited to become our LoyalTIX member to collect points from activities you do inside TIX ID app. Get a lot of benefits by registering yourself as LoyalTIX member such as vouchers and many more to come!